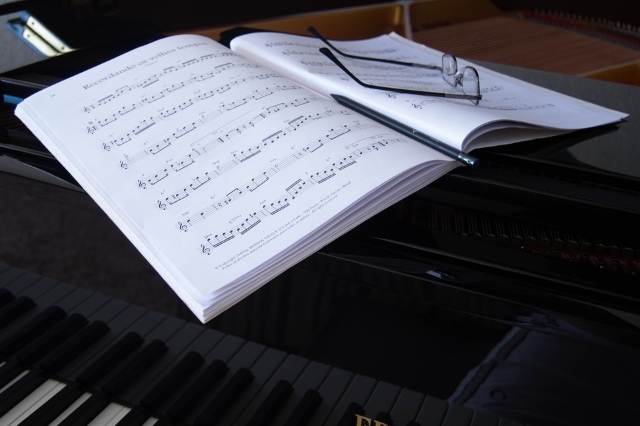 In this article, you’ll find out what the best piano books for beginners are. If you don’t have a lot of time on your hands to do the necessary research, then keep on reading. Our team has carefully examined some of the top-rated alternatives in this category and concluded that Alfred’s Basic Piano Library Theory is the book you should consider. With its enjoyable games and easy to follow lessons, you’ll quickly learn the basic concepts. Moreover, you can study anytime, as you don’t need to be in front of the keyboard for some of the basics covered in this book. In case Alfred’s Basic Piano Library Theory is unavailable, you should consider the Adult All-In-One Course, as it offers similar benefits. If you need a piano lesson book that easily and effectively explains the basic concepts, then this is the choice for you. The pages are designed in such a way as to make everything clear and easy to follow, while the structure allows the students to learn while being away from the keyboard, as well. Plus, the high-quality materials make this a durable item. Given that the book is conceived for beginners, some lessons can seem rather basic and repetitive. If you think you need a level that is a little bit more advanced, you might need to look at other books as well. All in all, this alternative is excellent for kids and beginners who are just starting to grasp the basic concepts and need to do this in an easy and effective way. The spiral bound construction makes this a book that can be easily placed on the piano music sheet. Besides the design though, the lessons include some musical theory as well, which means that the student gets an all-around understanding of this art in general. Moreover, the book teaches various musical styles. Although it’s a book specially made for beginners, some of the lessons might be a little too advanced if the student is at the very beginning of his or her learning journey. In this case, a more basic book might be better. Providing a thorough understanding of music and having well-structured lessons, this book is definitely one you should go on your list of purchases. Designed for adults, what makes this book stand out is the fact that it teaches chords for both hands. What this means is that the student will be able to play a wider range of songs, rather than only single note melodies. The series teaches keys, sets of chords and techniques for a quick and smooth learning process. In certain cases, students might also need the assistance of a teacher to be able to make the most out of using this book, so that’s an additional cost to consider if you want to learn as fast as possible. Given the well-constructed lessons and the knowledge level it contains, this is one of those piano books that ensure an effective learning process. 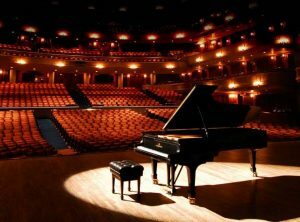 Finding the best beginners’ piano books is not always an easy task, as there are many options available on the market. In order to help you find the most suitable one, we selected the top-rated alternatives based on a large number of reviews. Alfred’s Basic Piano Library Theory is a great option if what you are looking for is a good piano book for beginners. Given that it contains enjoyable games and quizzes, the learning process is smooth and any beginner will quickly grasp the basic concepts while having fun. This is an excellent addition to any new piano player, as the lessons are easy to follow, to read and to teach. The pages’ design is balanced, meaning that the space is well used in order to make everything easy to follow. Moreover, the book is well made and you will be able to use it for a longer period of time. Given the clever way Alfred’s book is thought out, students are able to increase their musical understanding while being away from the keyboard, which means that any moment can be a good time to study some more about this fascinating field. If you find yourself going through beginner piano books reviews without being sure which one is a better option, take a look at this All-In-One Course that has everything you need to get you started on this beautiful journey. The spiral bound construction makes the book lay flat on the piano music sheet, which is very important in order to better follow the lines and have a productive learning experience, without wasting time to look for alternative solutions for a good positioning. Moreover, the book also contains a bit of music theory and knowledge among its pages, which means you can understand more about music in general, besides learning the notes. This book includes a wide range of musical styles, from classic and popular, to blues and others. All of these features create an engaging and enjoyable learning process for anyone who wants to know more about playing the piano. Finding an excellent alternative for a cheap beginners’ piano books that is also effective is not always an easy task. If that’s the case, then it’s a good thing you are reading this article, as Alfred’s Basic Adult Course might be exactly what you are looking for. This is a beginners course for adults who prefer a different approach, as it teaches chords for both hands. This means you will be able to play more than single note melodies. Therefore, if you are just getting started but want to be able to cover a wide range of songs and styles, you can definitely give this book a try. The series teaches you the keys, technique or sets of chords with a baby-steps approach. This way, you will easily grasp everything you need to know, without feeling overwhelmed by the information provided. If you also practice every day, you’ll be able to quickly make progress. The Primer Level – Lesson Book definitely comes in handy if you want to go through a clear and smooth learning process, but you are just getting used to the piano. The introduction of notes on the staff is gradual, which gives the student a chance to absorb 1-3 notes at a time, before introducing new ones. The learning process is well thought out and firstly covers the basics about the keyboard, note values, and the grand staff. Only afterwards it develops the concepts, and the students get to play in C 5-finger scale patterns. They also develop recognition of steps and skips, as well as learn letter names independent of finger number. Moreover, the musicianship is built through the use of dynamics and coloristic experimentation. At the same time, the material is organized into units which present the major concepts and skills. As new ones are introduced, earlier concepts are also constantly reviewed. The Big Book of Beginner’s Piano Classics is an excellent alternative if you are looking for a learning solution suitable for all ages. Any member of the family will surely cherish this great compilation of beloved piano classics, as they are easy to learn and allow you to practice the basic concepts. Each piece was carefully selected and simplified in order to help any student develop his or her skills. Moreover, the special arrangements also offer satisfaction especially if you are a beginner, as you will be able to play music that would normally be beyond the initial skill level. Each tune also comes with an MP3 download option, which renders the learning process even smoother. If you combine this with daily practice, you will quickly get results and be able to impress your family and friends with beautiful tunes. Some of the master composers are featured here, including Bach, Mozart, Chopin, and Tchaikovsky. If you’ve decided to purchase a great piano for kids and are looking for an excellent book to kick-start the learning process, then you’ve come to the right place. The Joy of First Year Piano was designed to be used as a method book, as it allows the teacher to vary the approach according to what the student needs. If you want your kid to quickly grasp the basic concepts while enjoying the learning process, then you can definitely give this option a try. The featured pieces can also be used as a source of inspiration and practice, and they can be used with other first-year methods as well. Although it’s a good idea to have a teacher assist your kid while studying, with this book he or she will be able to learn independently without too much trouble since it covers the basics in easy and clear lessons. In case you already went through many alternatives for sale looking for a complete option that can cover the theory and also provide audio examples, then we might’ve found exactly what you need. John Thompson’s Easiest Piano Course has been preferred by over 12 million students since 1955. Given its longevity, it’s safe to say that this course is effective and time-tested. The books feature colorful and funny characters and illustrations, while the online audio accompaniments make learning and practicing even more fun. The audio pieces can be accessed by using the unique code provided with each book, and they can be either streamed or downloaded. The audio files also include PLAYBACK+, a multi-functional audio player that allows the user to slow the audio down without changing the pitch, set loop points, or change keys. Combine this book with a great digital piano and you’ll surely get your kid passionate about this beautiful musical journey. The Bastiens have created a new and rich piano course that covers the basic concepts and that is specifically designed for adults who are just getting started on this musical journey. This compilation includes lessons, theory, technique, and sight-reading, all combined for the most effective learning process. The series is gradually paced which means that you will be able to grasp every piece of information while feeling confident about your progress. This is very important for any student in order to keep his or her interest as well as continue to enjoy the learning process. The course offers a wide variety of musical styles, custom selected for adults, that includes famous classic themes, folk songs, ragtime, blues, boogie, and jazz, as well as some Bastien originals that teach the basics in a clear and innovative manner. If you’ve decided that you want to play the piano, you can give this course a try. Founded in 1947, Hal Leonard LLC is one of the largest print music publishers, covering titles of interest for any musician or music lover. The company offers a wide range of publications, from songbooks and instructional titles to artist’s biographies and books about the music industry. With this being said, the Absolute Beginners Piano course is a clear step-by-step guide. The pictures included explain the basic concepts, but they are also used to further develop your knowledge and skills. In a short amount of time, you’ll be able to sense your progress from first-day exercises, tunings and setting up, to playing riffs, chords, and songs with a backing track. Given that the book is fully illustrated with diagrams and photos, the learning process is simple, with easy to follow instructions and explanatory text. Moreover, each book comes with a CD that demonstrates scales and contains solo examples. Once you’ve decided to pursue a passion such as learning to play the piano, it’s not always easy to find that one course that suits your every need. Of course, the same goes for any other musical instrument. It doesn’t matter if you are looking into banjos for beginners, mandolins for beginners, or have recently formed a band and you want to find the most effective beginner bass guitar course. In any of these cases, there are some things you should keep in mind before choosing the right alternative. Of course, this quest might not even be for yourself, but for a friend or for your kid. If that’s the case, then you should be aware of what motivates the person who will become the student. If you ask your son or daughter, you might find out that you also have to purchase a cool kids’ guitar to accompany the piano. There are many piano courses available on the market, each one specifically designed for a certain audience. For this reason, you should first think about the person that is going to use it, and go for an option that is tailored for that age group. Children and adults alike might discover a new passion and wish to learn to play the piano. Moreover, you might even look for an option that can help a teacher as he or she guides the students through this beautiful journey. Whichever the case, you should make sure that the book or course you choose is the right one in terms of age group and skill level, for the person who is going to use it. This way, they will get the best results in an effective way. Many times, knowing why a person wants to learn to play the piano means you can make an easier decision when it comes to choosing a certain learning method. Maybe the student only wants to cover the basics and be able to entertain the family during holidays. On the other hand, things look a bit different if the person who will study wants to take this passion further and make a career out of it, or at least play for wider audiences. Knowing this can help you determine what to focus on, how in-depth the study should go, and which book provides all the necessary information for personal study. Once you’ve established all of the above, you should think about the skill level at this point and what the student should or would like to learn. In case we are talking about an absolute beginner, then you should go for a course that covers all the basics in a clear and easy-to-understand manner. This way, you can make sure that the progress is the desired one, while the motivation remains there as the student doesn’t feel overwhelmed by the level of information. This is important, as studying at the right pace helps keep a healthy balance and quickly make visible progress. If, however, the student already has some prior knowledge on playing the piano, then you should be aware of this and make sure you go for an alternative that covers the missing element of their study. For example, maybe they already know a little bit about the technique, but they would like to learn more about music theory. Or maybe they need to learn how to sight read or how to play a specific song or genre. No matter what it is, you should try to figure out what their needs are (or yours if you’re the student). You might think that pictures and diagrams are just for kids, but that is not the case. If you are more of a visual learner, you might find that using a book that has visual representations of the concepts is much easier to go through and ensure a real and effective progress. Finding a course that also includes audio materials such as CDs or files that are available online is also a good idea. You might also want to check out some useful monitor speakers that render a proper sound to help you get a clear perspective of where you want to get.